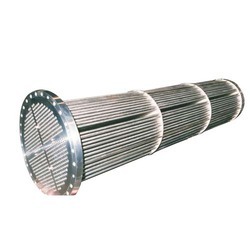 Clients can avail from us durable range of Heat Exchangers. 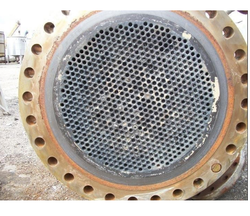 Used in oil refineries and other large chemical processes, these exchangers are suited for higher-pressure applications. Consists of a shell (a large pressure vessel) with a bundle of tubes inside it, these exchangers enables fluid runs through the tubes. Further, another fluid flows over the tubes (through the shell) to transfer heat between the two fluids. The set of tubes are called a tube bundle, which consists of plain and longitudinally finned tubes. We are looking bulk inquries only from industries. Being one of the most trusted and reliable companies in the market for manufacturing and supplying of Stainless Steel Heat Exchangers. 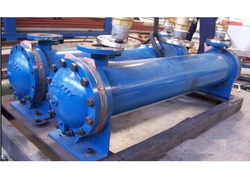 Customized as per the variegated requirements of our clients, these heat exchangers are manufactured in adherence with the industry set norms and guidelines. 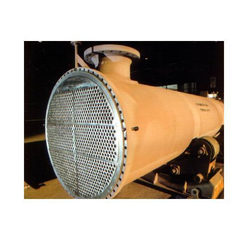 Precision-engineered, these heat exchangers find their application in different industries. 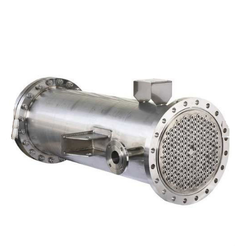 As one of the leading manufacturers and suppliers, we are offering a wide range of Shell and Tube Heat Exchangers. Extensively demanded by various industries, our offered heat exchangers are manufactured in adherence with the industry set norms and guidelines. Perfectly suits the needs of clients, our offered heat exchangers are developed under the guidance of our professionals. 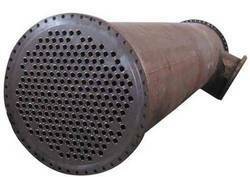 With sound business practices, we are able to manufacture and supply excellent quality array of Heat Exchangers. Operates in wide range of temperature, the heat transfer equipment is manufactured using high-grade raw-material and other basic components that are sourced from reliable vendors of the industry. Post-production, our offered equipment is closely tested on various characteristics to ensure flawlessness. Capitalizing on our years of experience, we are able to offer our clients a wide array of Floating Type Heat Exchangers. Excellent in quality, our offered heat exchangers are manufactured in compliance with the industry set norms and guidelines. Backed by rich industry experience, we are manufacturing and supplying a vast variety of Floating Head Heat Exchangers. Fabricated under the supervision of our professionals, these heat exchangers are manufactured in adherence with the industry set guidelines. 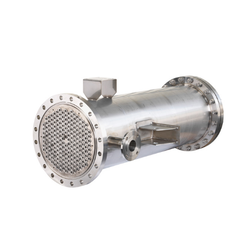 By employing stainless steel and other basic components these heat exchangers are developed, which are suitable for different industry application. With the help of our dexterous team members, we have been able to offer a comprehensive range of Industrial Heat Exchangers. Industrial heat exchanger is a piece of equipment, which is built for proper heat transfer from one medium to another in an efficient manner. Backed by rich industry experience, we are also matching up with the demands of Tube Heat Exchangers. Easy to install, our offered exchangers are manufactured using a high-grade raw material with the aid of sophisticated machinery. Looking for Industrial Heat Exchangers ?